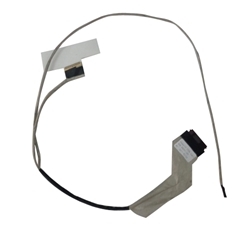 Description: New laptop 14" lcd ribbon video cable. This cable is the non-touch screen version only. If your laptop has a touch screen this is not the correct part. Compatible Part #'s: 872W7, 450.00G01.0011. Dell Inspiron 14 (3441), 14 (3442), 14 (3443).